Low Season Book 5 Pay 4! Free Wifi is available in all the Good Wine Apartments. We collaborate with some of the most professional tour & activity providers in Venice! You’ll receive assistance & information from our staff before & during your stay. 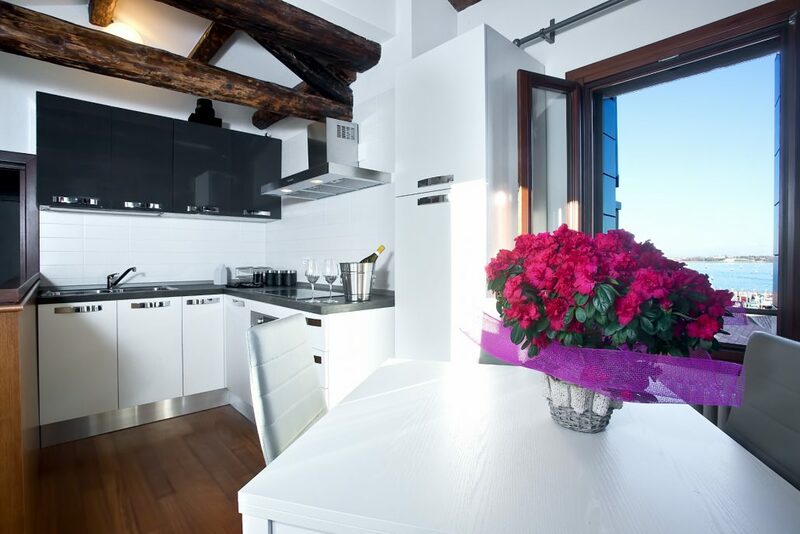 *should you be here earlier we’d be glad to give you the apartment if available already, but it’s always mandatory to contact us (don’t worry: we will mail you 15/20 days before your arrival). In case you plan to arrive later than 7 pm and before 9 pm, we apply you an extra fee of 30.00 euro to be paid cash, 50.00 euro from 9 pm to 11 pm. After this time we do not offer welcome service anymore. 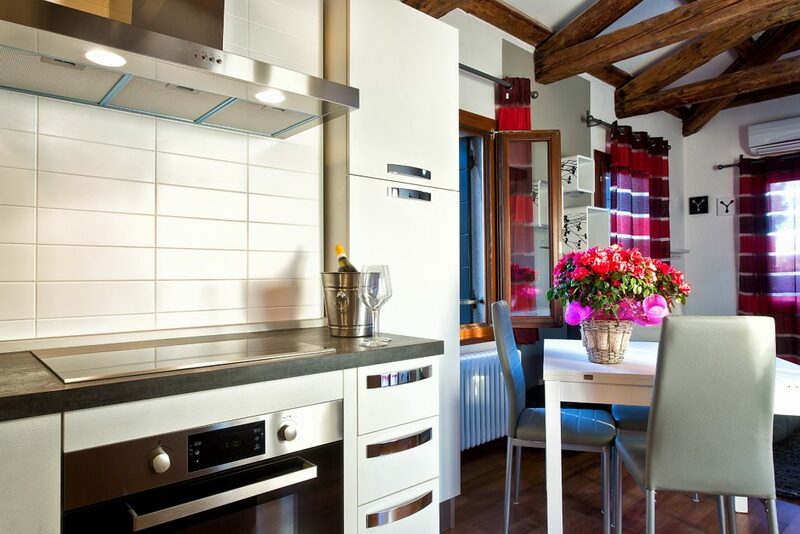 Apartment Chardonnay is a brand new apartment belonging to those we call “Good Wine Apartments” Venice. Are you thinking we are crazy? No we are not. 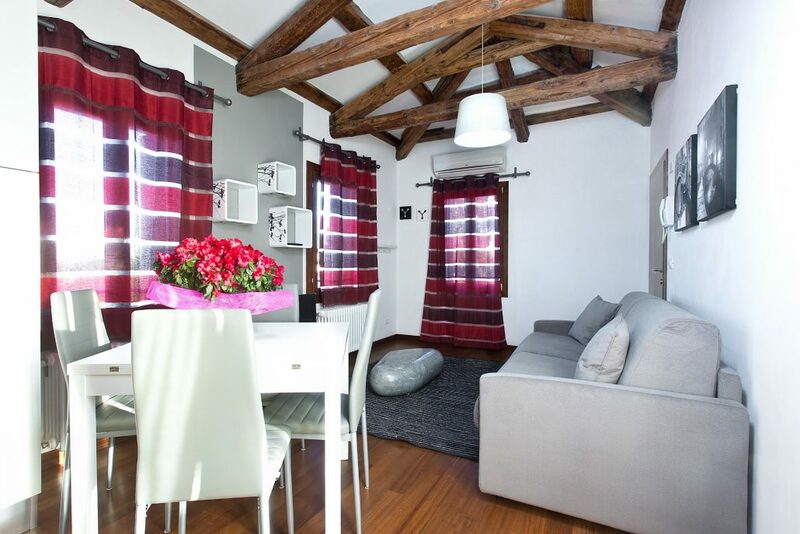 We gave to this lovely apartment, suitable for couples or family with children, the name of this famous wine beacause at arrival you will receive a complimentary bottle of good red wine to try it and taste together with your love or your family. 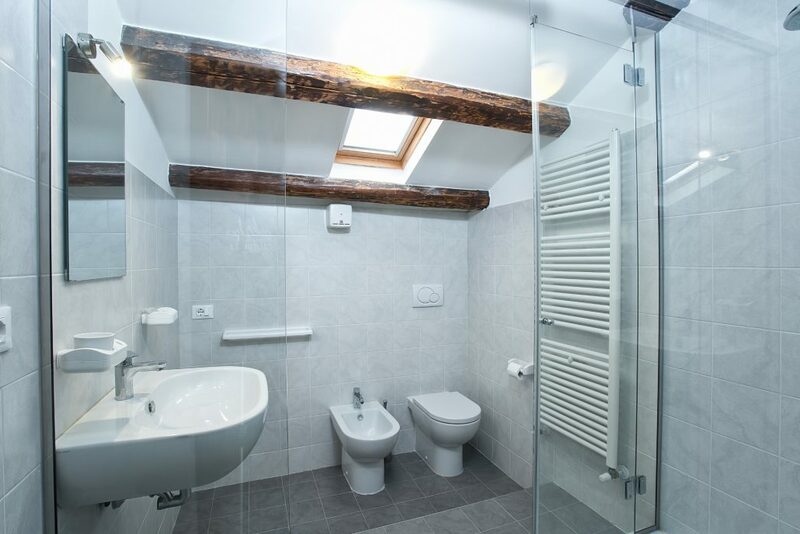 This apartment lies on the top floor (also, there is lift, which can carry on up to 250kg together) and has one living room with the kitchen, brand new bathroom and a large comfortable bedroom with double bed or two single beds. Also, there is a/c (heating in winter time) and free wifi service starting from the mid February 2016. 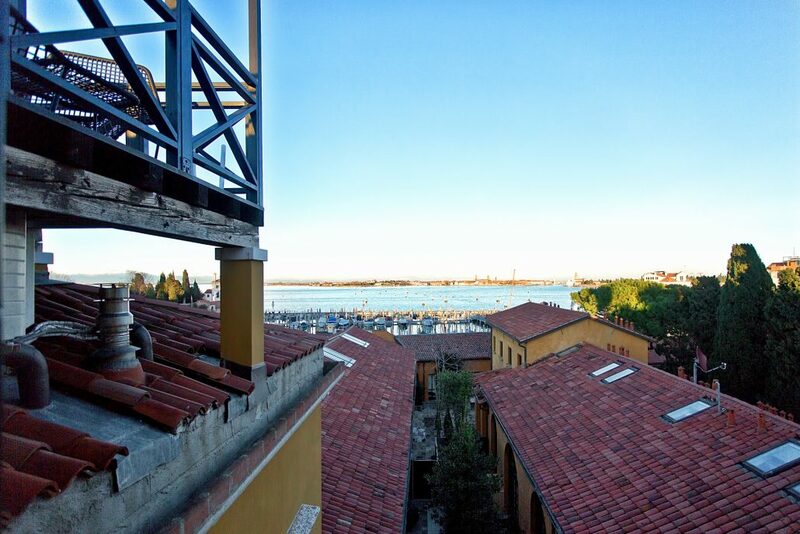 Also, Apartment Chardonnay has a lovely private terrace where you can enjoy some fresh air and a lot of privacy, and an incredible view over the Venice lagoon (you see Murano island as well). 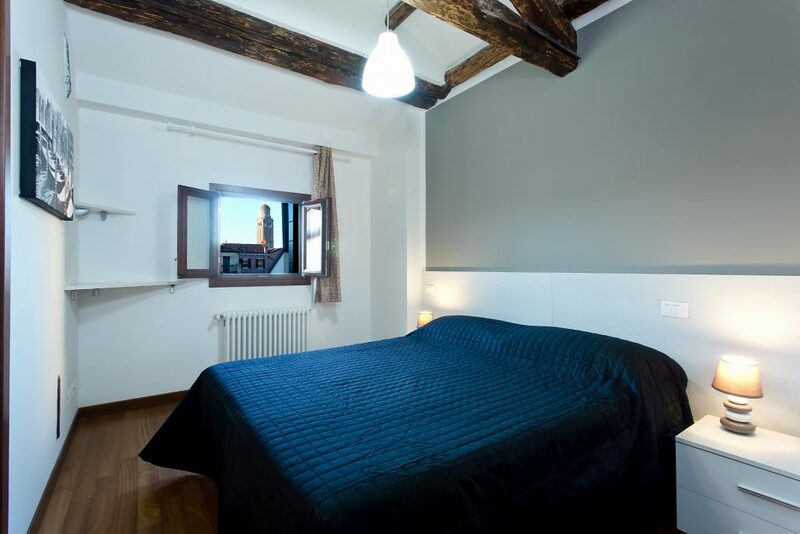 In the living room it is possible to sleep with two extra people opening the sofa bed: we do not open it if you are two persons only (we can do it just if you ask for and there is an extra cost). Cannaregio is the most populous district of Venice and the second largest after that of Castello. Its territory extends from the station of Santa Lucia to the north of Santa Croce, to which is connected through the Scalzi Bridge and the Bridge of the Constitution. It borders, but only partially, to the south and east of Castello: in fact the Parish of St. Canciano is excluded from Cannaregio. A special feature of Cannaregio is to be crossed by the canal that connects the lagoon: the channel, excluding the Grand Canal, is the only of the center to be crossed by boats. This channel is crossed by two bridges: the Bridge of the Spires, so named for the two pairs of peaks present at both ends, and the massive Bridge of the Three Arches. 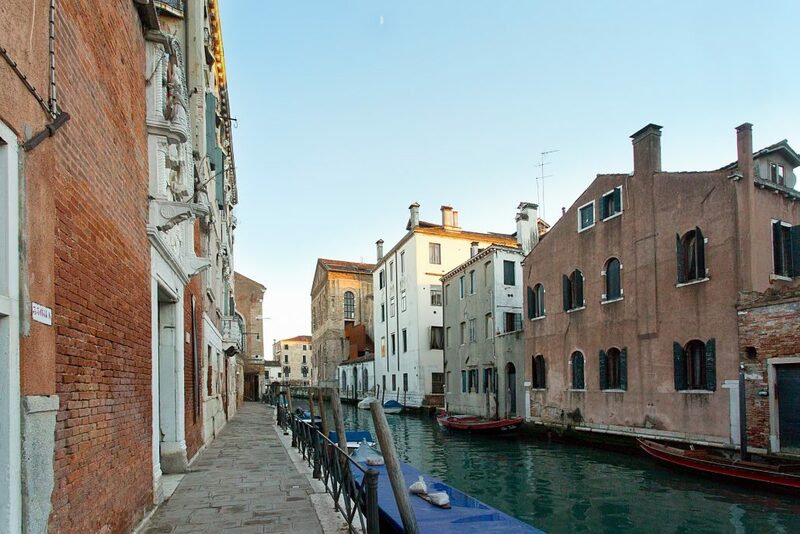 At the foot of the Bridge of the Spires is the Cannaregio “sotoportego” (“arcades” in Venice dialect) that connects the Jewish Ghetto of Venice: at the entrance are still visible the hinges that held the gate which closed the Jewish Ghetto at sunset.